"My love for Jack is a sort of worship. Not a fetish sort of thing. It is a grand emotion—a high passion. I seem to love, as always, as in a beaming light of him. Whom better could one worship? I say it to a friend of his. He was so grand. His light is immortal to me—even if he is not. I think you recognize the feeling. It preludes despair or true loneliness. It has been and the after-glow is, and shall be forever. I know he would weep should I miss one thrill of living. Rather, would he rejoice in that he better fitted me for life and living. Cheerful, I rise from my bed. I possess worthwhileness, whether worthwhileness really be or not. I will to create worthwhileness for myself, while I may last in the flesh. I will not die while I am still living. I will not to die by moments, by inches. I will to die all at once, and completely. Is that a worn and tattered creed? I think not." 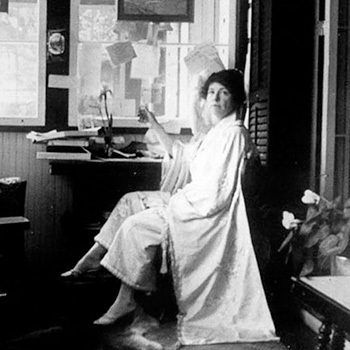 Charmian Kittredge was Jack London’s “mate woman” and life partner. Born November 27, 1871, in Wilmington, CA, Charmian’s mother, Daisy Wiley Kittredge, died when she was 6 years old and she was raised by her Aunt Netta and Uncle Roscoe Eames in Oakland, CA. Homeschooled by Netta, Charmian studied literature, geography and art. She had a genuine love for music and trained herself to become an accomplished pianist, organist and singer. Netta instilled the ideals of feminism, vegetarianism, socialism and a modern outlook on sexuality. Charmian was ambitious, both socially and intellectually, and worked hard to advance herself. She went to work as a secretary for a shipping firm in San Francisco and earned enough money to support herself and travel to Europe. For this time period, it was very unusual for a woman to work in an office and be so independent. Charmian also had a deep love of horses and was a woman of great physical courage. She rode her horse cross-saddle when women were riding English side-saddle and became an outspoken advocate of the practice. Charmian and Jack fell in love in the summer of 1903 at a time when Jack’s marriage to Bessie Maddern had fallen apart. She was the comrade that he sought, game for adventure but not ultra feminine. They married on November 20, 1905, shortly after Jack’s divorce was final, and their marriage lasted until Jack’s death in 1916. Charmian fit perfectly into Jack’s life and she was his steady companion on many of his adventures and in his working life. On several occasions during the cruise of the Snark, the entire crew became ill and Charmian became the skipper, cook and nurse of the crew to keep the ship afloat. Charmian and Jack’s dream of parenthood never materialized. Charmian became pregnant twice. One child whom they named Joy survived only a few hours and the other child was lost to a miscarriage. After Jack’s death in 1916, Charmian committed herself to saving the Beauty Ranch and promoting Jack’s legacy. She sold his writings and secured the movie rights for several of Jack’s books. She frequently traveled to Europe to work with agents, publishers and translators. She became a well-known personality in her own right and never remarried. She built her new residence from 1919 to 1926 and named it “The House with Happy Walls” to display artifacts related to Jack and their happy life together. 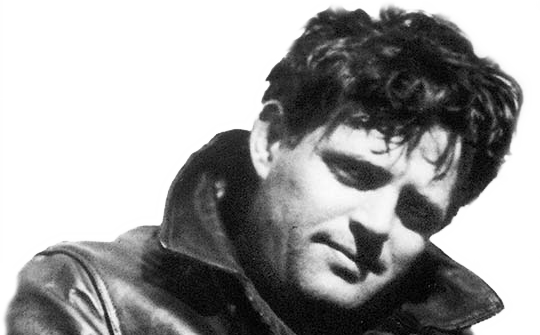 Charmian wrote three books—Our Hawaii, The Log of the Snark, and The Book of Jack London, a biography. She also wrote a daily journal from 1900 to 1947. Charmian died January 14, 1955, at the age of 83 and her ashes joined those of her beloved Jack under the rock on a little knoll in Jack London State Park. After her death, Irving Shepard, her heir, facilitated Charmian’s wishes to donate her House of Happy Walls and 39 acres to the State of California. In October of 1960, Jack London State Park officially opened to the public.